Monitoring for 4,4’-diaminostilbene-2,2’-disulfonic acid-based fluorescent whitening agents (DSD-FWAs) in food packaging material were included in 2014 in the national food safety risk monitoring plan in China for the first time. 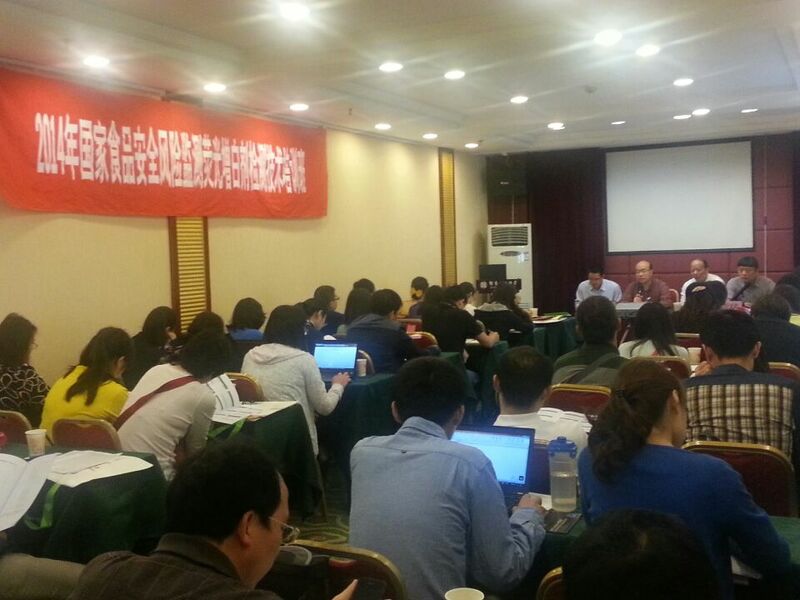 In accordance with this plan, training in the determination of eleven fluorescent whitening agents in food contact paper and cardboard, sponsored by CFSA, was held in Fujian province on May 12nd-16th, 2014. More than 50 people attended the training course.The contents of the training included the theory behind, and the practical operation of, the test methods for DSD-FWAs. At day one, Kuicheng Zheng, deputy director of Fujian province CDC, attended and delivered a speech in the opening ceremony of the training course. Then, Dajin Yang, Deputy Director of the Department of Risk Monitoring and Alert in CFSA, summarized the food safety monitoring results from 2013 and introduced the monitoring tasks and requirements in the 2014 national food safety monitoring plan. Then, Professor Jie Lu, from the chemistry lab in CFSA introduced the laws and regulations for food packaging materials at home and abroad. Finally, Dingguo Jiang, Professor of the Department of Risk Monitoring and Alert, introduced the relevant background and research progress on testing technology for fluorescent whitening agent. Finally Professor Wusheng Fu, from Fujian province CDC, explained in detail the new test methods for DSD-FWAs in food contact paper and cardboard, and outlined the key problems encountered in the establishment of the methods. From the second day, students participated in practical training and interacted with the teachers on the operation of the analytical tests in the laboratory. 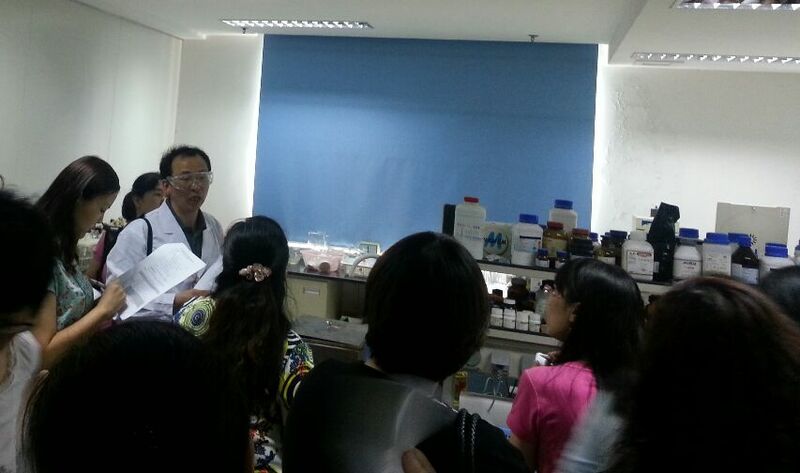 In summary, this training provided important guidance on the national food safety risk monitoring requirements and the regulatory status of food packaging material, and greatly improved the technical abilities for simultaneously detecting eleven DSD-FWAs in food contact paper and card board in China. All participants agreed that the training courses were very novel, practical and detailed and beneficial.